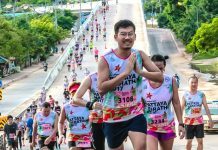 Garmin® debuts its first dive computer, the Descent Mk1, featuring surface GPS in a sleek, everyday wearable design | JustRunLah! Garmin Singapore today announced the DescentTM Mk1, a dive computer housed in a watch-style design offering surface GPS navigation with rich color mapping. Designed for recreational, technical and free divers, the Descent Mk1 allows divers to plan their underwater adventure right on the watch and use GPS waypoints to automatically mark dive entry and exit points. 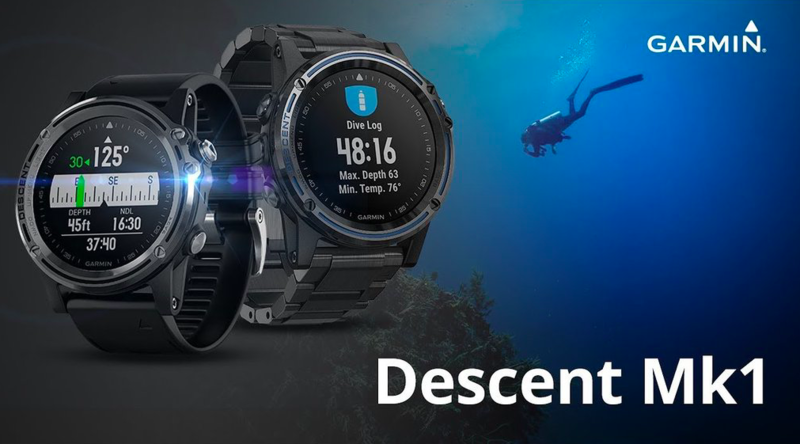 The Descent Mk1 also offers multiple dive modes, 3-axis compass, in-dive data, as well as multi-sport functions like wrist-based heart rate, activity profiles and automatic dive log uploads via the Garmin Connect Mobile app to Garmin’s online dive community. The Descent Mk1 includes an Apnea mode for recreational and competitive free divers, and Apnea Hunt mode for spear fishers. When the diver submerges, the device will automatically start the dive, and when the diver surfaces from the water, it will automatically stop the dive. The Descent Mk1 supports up to six gases including air, nitrox and trimix. While enjoying their dive under the water, useful information such as depth, dive time, temperature, NDL/TTS, ascent/descent rates, gas mix, PO2, N2 loading, decompression/safety stop information, time-of-day, and more on a crisp 1.2-inch color display. The diver can switch to the dive compass and additional data pages with the push of a button, or with a quick double tap on the screen. The dive computer utilizes the Bühlmann ZHL-16c algorithm with configurable conservatism settings. Choose from three pre-set conservatism settings, or enter custom Gradient Factors. Selectable tone and vibration alerts help keep divers informed throughout their dive. When worn over a divers bare wrist, the Garmin ElevateTM wrist-based heart rate technology1 will monitor pulse and track exertion levels. The Descent Mk1 will automatically uploads dive logs to Garmin Connect over WiFi with paired smartphone for post-dive analysis. Divers can name their dive, and go back in app to review dive data such as type of dive, temperature, entry and exit points and more. Topside, the Descent Mk1 features a high-sensitivity GPS and GLONASS satellite tracking for map- based surface navigation including ABC (altimeter, barometer and compass) sensors. Beyond the full range of diving functions, the Descent Mk1 offers a complete feature set of sports/training, fitness and outdoor navigation tools. Preloaded with activity profiles for swimming, running, biking, hiking, skiing, rowing, paddle boarding and more. The Descent Mk1, when paired with a compatible smartphone2, allows a user to receive and view text messages, emails and smart notifications right on the watch. Users can customize the watch display with free watch faces, apps and data fields from our Connect IQTM store. Crafted with premium materials, the Descent Mk1 dive computer will be available in a stainless- steel bezel with silicone watch band. Using QuickFitTM bands, the diver can easily change between regular and longer QuickFit bands, for use over thick wetsuits or dry suits. QuickFit bands also allow the diver to tailor their wrist-worn style for any daily activity or special occasion — no tools required. The Descent MK1 features a domed sapphire lens for scratch resistance, and a bright, high-resolution full color 1.2-inch display with LED backlighting, assuring readability in all lighting conditions, above or below the water. Dive rated up to 100 meters3 (EN13319) the Descent Mk1 has a battery life of up to 36 hours in dive mode, 18 days in watch mode, 10 days in smartwatch mode, 20 hours in GPS/HR activity mode, and up to 28 hours in UltraTracTM mode. The Descent Mk1 is now available for a suggested retail price of SGD 1,499 and will be available at Advance Lap, Edison Electronics, H2 Hub, Isetan, Morning Star, Parisilk, Perfect Watch, Prestige Time, Sprint Cass Airport outlets, Tangs, Takashimaya and selected outlets of Best Denki, Challenger, Courts and Harvey Norman. For more information, visit the Garmin Virtual Pressroom, or follow Garmin on Facebook, Instagram or YouTube!